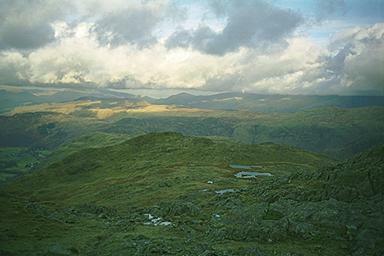 There are tarns to be avoided on between Combe Head and Glaramara. The driest route is to the right of the tarns as seen from here. Larger version of this picture.